This blog aims to get you started with digital badges. We start with the basics: What is a badge? Who’s using them? Why are they cool? We then aim to simplify some of the seemingly confusing aspects. Last, we arm you with the tools you need to prototype your first badge. It always helps to start with the fundamentals. Let’s remind ourselves, what is a badge? a distinctive emblem worn as a mark of office, membership, achievement, licensed employment, etc. A digital badge is the internet’s version of above. The key difference between a digital badge and a traditional badge is digital badges live on the internet and have data stored inside of them. This data is really useful for badge earners, badge issuing organizations, and the people who are looking to hire / work with badge earners. Badges can be issued by anyone – schools, online, cultural and civic institutions, community and professional organizations – to represents limitless set of skills achievements and knowledge. Over two thousand organizations are currently issuing badges. Below are a few interesting programs below, but there are a TON more examples. For starters, check out the list here. Flexibility in design – there are no limits to how badges are structured – this allows for great flexibility in designing programs that drive engagement and incentivizing outcomes. Badges allow institutions re-imagine learning and student engagement in a way that extends far beyond the classroom and traditional methods. Tracking & Data Reporting – Because badges live on the internet, data can be easily collected. This makes administration and reporting easy. How many badges were issued? What badges are being issued? Are the badge earners sharing their badges? How many people are looking at our earners’ badges? How useful are our programs? Digital Badges make answering these types of questions a whole lot easier. Sharing badges across the web is easy! Badges earners can show off skills and achievements on Facebook Linkedin, email, or anywhere else imaginable on the web. This helps them get jobs and start new business engagements. Show off a breadth of skills & achievements – As badge earners collect badges they paint a broader picture of who they are and what they can do. Anyone that would be interested in reviewing a candidate can now look at a portfolio of badges they have earned. This could be be private companies, universities, schools, potential business partners who need to vet and decide if they want to work. Validated proof – Digital badges allow others to see validated proof of knowledge, skills, and abilities. What does it take to earn a badge? This is really the fun part. Your options are limitless. To make things a little easier, Issuing platforms have set up a list of example activities. Imagine the possibilities you can dream up when designing your badges. Member – Join a student club? Other – use your imagination? Participant – Participate in some event? Portfolio – Create a portfolio? Presenter – Present at some event? Project – Complete a class project? Professional Experience – Get an internship or job? Schedule / Registration – Register for something? Volunteer – Volunteer x hours somewhere? When it comes to badge design, the possibilities are limitless. This is where you step back from the technical mumbo jumbo and become a designer, artist, sculpture, to create a badge program that address the needs and wants of the key stakeholders in your ecosystem. 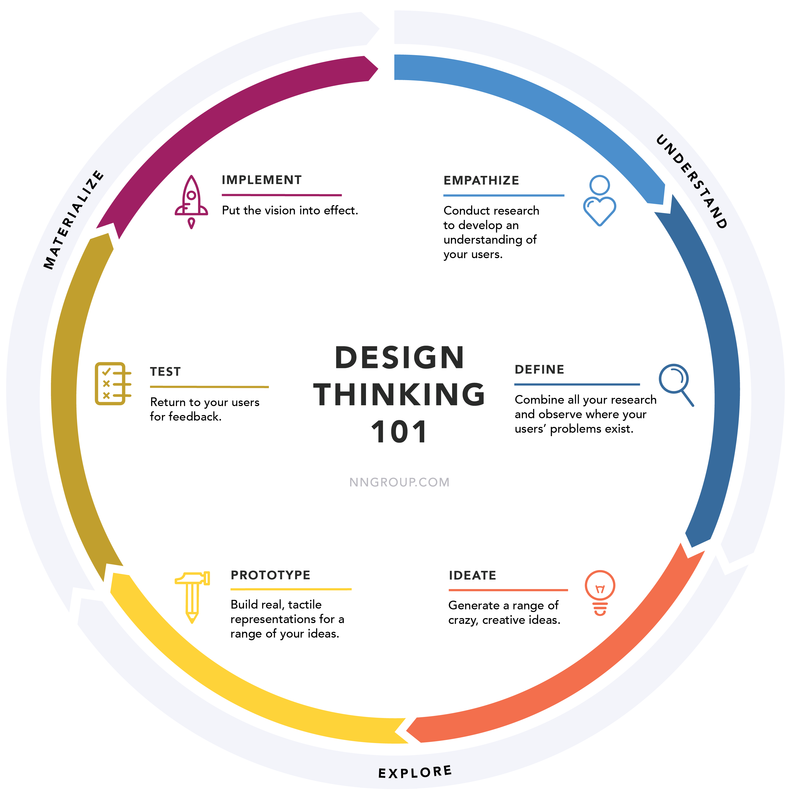 I like to use the design thinking methodology to do this. We’ll jump into that later. The organization issuing badges is fully responsible for creating value in their badge program. This is really important. You need to understand the needs and pain points of the key stakeholders in your ecosystem and design your badges to meet those needs. This is what ultimately drives them to want to earn a badge. Why should they care about your badge? How will help them meet their objectives? Design a Badge to incentivize behaviors that align with the goals of stakeholders. Any organization can create and issue badges. There is nothing stopping a student club, after school program, baseball team or group of friends from getting together and issuing their own digital badges. Most of the confusion I come across regarding digital badges is related to some of the slightly technical definitions. Nothing here is complicated but it’s often explained wrong or in a convoluted fashion. I’ll do my best to simplify the key things you need to know below. 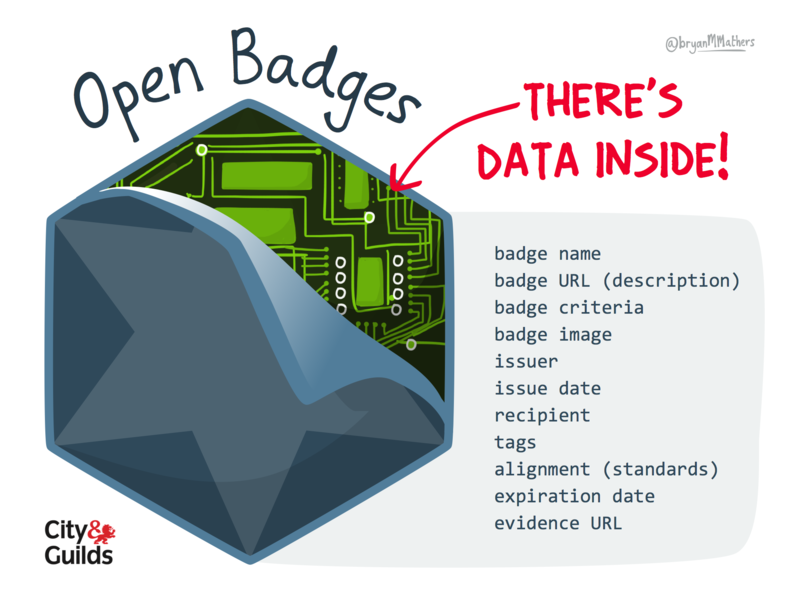 The open badge (www.openbadges.org) standard was started by Mozilla in 2012, handed off to IMS Global in Jan 2017. Think of Openbadges.org as the central hub of information related to digital badges. They set the standards including the technical architecture and API design that facilitate the Open Badges ecosystem. You may have heard of platforms such as Acclaim, Credly, Badger. These are technology platforms that facilitate the technology side of the badge issuing process. They make it really easy for anyone to implement a digital badge system based on the Open Badge standards. I’ll give a demo of the Acclaim platform later on. A key characteristic of open badges is that they are shareable across the web, either uploading to LinkedIn, sharing on social media, email, txt message, embedded in websites, or downloaded. Wherever the badge goes, the data inside of it goes. Badge name recalls the content of a skill or achievement in few words. Description provides with the details of achievement: describes the context, specifies the achievement, refers to completed tasks, explains the assessment procedures. Criteria tells about the tasks set by badge issuer and completed by badge earner to qualify for specific badge. Issuer maybe an organisation, company, institution or private person that issues a badge to recognise learning and achievements. Evidence is an optional but very much encouraged data to enrich and backup the claim for specific achievement. It can be of variety of formats: text input, file upload, image, video, badge code or even another badge. In this next part, your challenge is to prototype a badge on the Acclaim platform. If your college is participating the CCC Maker program, we have set up a “Sandbox” Acclaim account for you to play with. You will all get access to this “sandbox” Acclaim account. One of the reasons we picked Acclaim is because it is extremely simple, intuitive, and extensible. I’ve made a quick tutorial to show you the interface and some capabilities. The technology side is the easy part. Now that you know how acclaim works and how to publish a badge your challenge is to get in there and create something. Get access to Acclaim – email [email protected](dot)org to get our Sandbox account log in. Log into Acclaim and click around, get familiar with the dashboard. Create & publish your badge on acclaim. Share the badge you made with someone. Collect feedback, insights, think about it. Report back at upcoming CCCMaker webinar and tell us what you did! If you do the above, you’ll get the badge-maker badge! Just a bit more food for thought. When designing any type of program, it really helps to think about and understand all the stakeholders in the system. In the case of digital badges for the CCC Maker program, I’ve identified the following stakeholders and their incentives. This is by no means complete, but its shares the type of exercise you can go through. – What skills are needed in your ecosystem partners? How do we incentivize internships? How do we drive maker space engagement? How do help students meet their goals? How do we enhance the student experience? What type of badges can support above? – Meets employers’ minimum qualifications for internships? – Shows off student’s unique skills? This is the fun part. You can show it to your students, colleagues, industry partners. Give them a chance to provide feedback without any explanation from you. What is the first thing they say? We also want to see it. So please share it with us at one of our upcoming webinars! Thank you! That’s all for now. If you have comments, feedback, or questions, please share below. Thank you all for your hard work and passion. Looking forward to the next step in our journey!